I think you are talking about the secondary sensor? I need to replace the primary sensor? That is the primary sensor for the four cylinder. 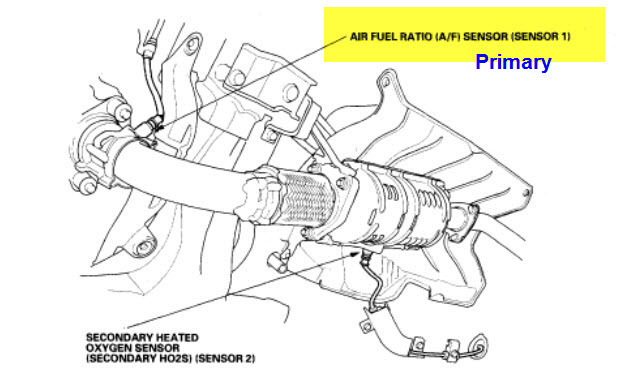 The four cylinder has the air/fuel ratio (primary) sensor before the cat and the secondary O2 sensor at the cat.